Flourishes are so popular right now. 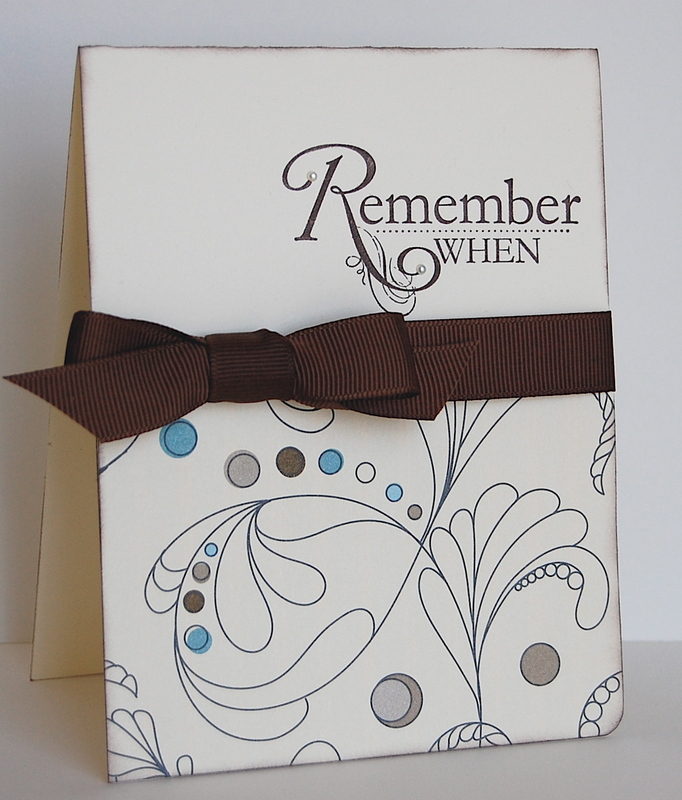 They are found as images in stamp sets, accents on sentiments & in patterned paper. My card today was inspired by the SCS CAS103 challenge, to use flourishes. I immediated thought of the Elegant Soiree dsp by Stampin' Up! 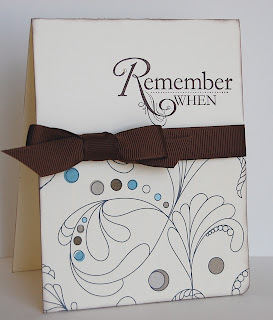 and as I looked through my supplies I came across the "Remember When" sentiment from Word Play. I knew that the two would be perfect. The paper and stamp together pack quite a punch, so I just added some tiny pearls, ribbon and some inking to finish this card off!!! Beautiful simple card love it! This is so pretty, Mo! I love the cleanness of it, and that one rounded corner really finishes it off! This is STUNNING!!!! I wish SU! would make that flourish a stamp! This is so gorgeous, Mo!! I love all of your cards so much. I have another question for you? How do you do the ribbon on a CAS card. Does it wrap around the inside too?